Drinks and snacks are staples of the American diet. 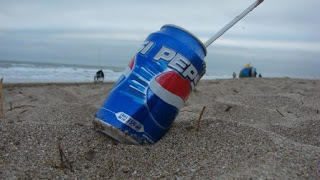 That puts PepsiCo Inc. (NYSE:PEP) in an excellent spot as one of the largest consumer staples companies in the world and primes them for continued future growth. PepsiCo has a stable of 22 different brands that generate over $1 B in annual sales. Those brands span the entire spectrum of beverages and snacks with juices, sports drinks, soft drinks, potato chips, oatmeal and much more. PepsiCo is firmly implanted as a Dividend Champion with an impressive 44-year streak of rising dividends. I've been more than happy as an owner of PepsiCo since initiating a position in 2013. Between share price appreciation, reinvested dividends and cold hard cash dividend payments I've received an internal rate of return over 13%. Even better is that my dividend income from PepsiCo has increased by over 32%. However, as the saying goes "past returns are not indicative of future results". As such it's time to update my analysis of PepsiCo and determine the quality of the company and the price I'd be willing to pay for shares. Yeah, there is a huge problem with all that fast-food culture in which http://proofreading-services.org/proofreader.php we are living in. We use too much disposable stuff and then we should recycle them in any way.